Whitefield Academy alum Naomy Grand’Pierre continues to give her alma mater, and Haiti, a reason to love the sport of swimming. 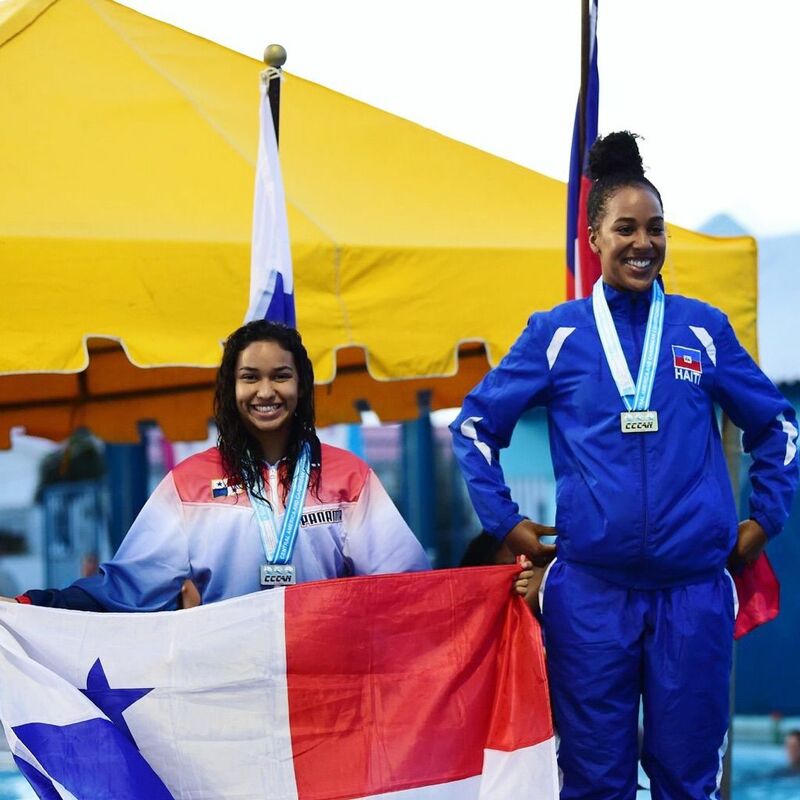 Earlier this summer, she won Haiti’s first gold medal at the Central American and Caribbean Countries Championships in Aruba in the 50-meter breaststroke with a time of 36.28 seconds. Photo: Whitfield Academy alum Naomy Grand’Pierre, right, won Haiti’s first gold medal at the Central American and Caribbean Countries Championships in Aruba in the 50-meter breaststroke with a time of 36.28. She is pictured here with second-place finisher Marielys Corrales. “It’s really a privilege and an honor to get to represent Haiti and really show the best that Haiti has to offer in the world,” said Grand’Pierre, who currently swims for The University of Chicago. This isn’t Grand’Pierre’s first feat for Haiti. In 2016, she became the first female Olympic swimmer to represent the country at the games in Rio. With the 2020 games looming, Grand’Pierre is aiming to qualify once again and also provide Haiti with another Olympic first — a relay team. She is in the process of assembling either a mixed team or a full female team. “There have never been more than three female Olympic athletes to represent Haiti, so if we can break that, that would be huge in terms of the feminist movement and really breaking that barrier in Haiti,” Grand’Pierre said. Grand’Pierre got a glimpse of what it’s like having more Haitians represented for the sport at the CCCAN championships with her sister, Emilie, a senior at Whitefield Academy, competing alongside her. Emilie is following her sister’s footsteps and is planning on competing in the Youth Olympic Games in October. “I think it will be the first time we have Haitian swimmers at these Olympic games, so I think it will also be a pretty big deal,” Grand’Pierre said. Grand’Pierre has used these achievements to be an inspiration to Haitians, who have traditionally shied away from the water. Grand’Pierre is grateful that growing up in the United States has provided access to public pools and the ability to learn to swim. She hopes that her efforts start a conversation in Haiti about growing the sport and further representing the country. She said most important to her representing Haiti on an Olympics stage, is to change the perception of the country.